(This is a prepublication draft - it's forthcoming in Univ. Chicago Press volume Science Unlimited (eds. Pigliucci and Boudry). Before we look at some specific examples of this sort of criticism, I want to outline some of my own views regarding the limits of science. As a philosopher, you might expect me both to want to carve out some intellectual territory for philosophers to occupy, and also to resist the thought that philosophical questions and problems are either non-questions and non-problems or else questions that will be answered and problems that will be solved, if at all, through an application of the scientific method. I won't disappoint. However, while I acknowledge that there are limits to science, I will argue these limits typically offer little comfort to religious, New Age, and other folk looking for ways to immunize their beliefs against scientific refutation. There is a further reason why I want to sketch out a case for supposing that philosophy is essentially a non-scientific enterprise: it will allow me to compare and contrast my own views with those of Richard Dawkins - who is perhaps Public Enemy Number One among those leveling the charge of 'scientism' - and give me an opportunity to explain why Dawkins's position isn't as crudely scientistic as commonly supposed. If science has limits, where do they lie? Below are two kinds of question to which, it's very widely supposed, science can't supply answers. For those wishing to challenge the suggestion that science can answer every legitimate question, moral questions are often a first port of call. Hume drew our attention to the is/ought gap. Morality is concerned with what we ought, or ought not, to do. The empirical sciences, on the other hand, appear capable, in isolation, only of establishing what is the case. And it appears that premises concerning what is the case - certainly premises of the sort that pure empirical science is capable of establishing - fail rationally to support moral conclusions: conclusions about what one ought or ought not to do. But then it appears science can't supply answers our most fundamental moral questions. For science alone can neither directly reveal facts about what one ought or ought not to do, nor allow us legitimately to draw conclusions about what we ought or ought not to do. Defenders of scientism respond in a variety of ways. Some suggest that there's something illegitimate about moral questions (that they're meaningless, perhaps). However, moral questions don't appear to be meaningless. Indeed, we consider them among the most meaningful and pressing of questions. If they are ultimately illegitimate or meaningless, the onus is very much on the defenders of scientism wishing to take this route to show that that's the case. Alternatively, some defenders of scientism concede that while such questions are legitimate, and while science may not be able to answer them, there certainly isn't any other way of answering them. Another option is to deny there is any is/ought gap: to insist that the kind of facts science reveals are capable of justifying our most fundamental moral beliefs. Sam Harris, in his book The Moral Landscape, recently developed a version of that view (Harris, 2012). I won't take a view here regarding the is/ought gap, other than to note there's at least a prima facie case for supposing moral questions are questions science alone is ultimately incapable of answering. But of course, even if that conclusion is correct, it doesn't follow that science is morally irrelevant. Science remains capable of playing an important role in justifying and challenging many moral beliefs, most obviously those whose justification depends in part upon empirical assumptions. If I believe women ought not to have the vote because I believe both that people of low intelligence ought not to have the vote and that women are of low intelligence, then my justification can be straightforwardly shown to fail by scientific evidence that women are not of low intelligence. Similarly, if I believe it's morally right to enable human beings to flourish, then a scientific investigation into what actually enables humans to flourish becomes morally relevant. Science might also reveal that, say, at least some of our moral intuitions are not to be trusted, by showing that what is actually shaping our intuitive moral responses is, in some cases, morally irrelevant. However, note that these suggestions concerning how science might play an important role in revealing moral truths and falsehoods are consistent with Hume's conclusion that science alone is incapable of justifying any moral position. On my view, philosophical questions are for the most part conceptual rather than scientific or empirical and the methods of philosophy are, broadly speaking, conceptual rather than scientific or empirical. Here's a simple conceptual puzzle. At a family get-together the following relations held directly between those present: Son, Daughter, Mother, Father, Aunt, Uncle, Niece, Nephew, and Cousin. Could there have been only four people present at that gathering? At first glance, there might seem to be a conceptual obstacle to there being just four people present - surely, more people are required for all those familial relations to hold between them? But in fact that appearance is deceptive. There could indeed be just four people present. To see that there being just four people present is not conceptually ruled out, we have to unpack, and explore the connections between, the various concepts involved. That is something that can be done from the comfort of your armchair. Many philosophical puzzles have a similar character. Consider for example this puzzle associated with Heraclitus. If you jump into a river and then jump in again, the river will have changed in the interim. So it won't be the same. But if it's not the same river, then the number of rivers that you jump into is two, not one. It seems we're forced to accept the paradoxical - indeed, absurd - conclusion that you can't jump into one and the same river twice. Being forced into such a paradox by a seemingly cogent argument is a common philosophical predicament. This particular puzzle is fairly easily solved: the paradoxical conclusion that the number of rivers jumped into is two not one is generated by a faulty inference. Philosophers distinguish at least two kinds of identity or sameness. Numerical identity holds where the number of objects is one, not two (as when we discover that Hesperus, the evening star, is identical with Phosphorus, the morning star). Qualitative identity holds where two objects share the same qualities (e.g. two billiard balls that are molecule-for molecule duplicates of each other, for example). We use the expression 'the same' to refer to both sorts of identity. Having made this conceptual clarification, we can now see that the argument that generates our paradox trades on an ambiguity. It involves a slide from the true premise that the river jumped in the second time isn't qualitatively 'the same' to the conclusion that it is not numerically 'the same'. We fail to spot the flaw in the reasoning because the words 'the same' are used in each case. But now the paradox is resolved: we don't have to accept that absurd conclusion. Here's an example of how, by unpacking and clarifying concepts, it is possible to solve a classical philosophical puzzle. Perhaps not all philosophical puzzles can be solved by such means, but at least one can. So some philosophical puzzles are essentially conceptual in nature, and some (well, one at least) can be solved by armchair, conceptual methods. Still, I have begun with a simple, some might say trivial, philosophical example. What of the so-called 'hard problems' of philosophy, such as the mind-body problem? The mind-body problem, or at least a certain versions of it, also appears to be essentially conceptual in character. On the one hand, there appear reasons to think that if the mental is to have causal effects on the physical, then it will have to be identical with the physical. On the other hand, there appear to be conceptual obstacles to identifying the mental with the physical. Of course, scientists might establish various correlations between the mental and the physical. Suppose, for the sake of argument, that science establishes that whenever someone is in pain, their C-fibres are firing, and vice versa. Would scientists have then established that these properties are one and the same property - that pain just is C-fibre firing - in the way they have established that, say, heat just is molecular motion or water just is H2O? Not necessarily. Correlation is not identity. It strikes many of us as intuitively obvious that pain just couldn't be a physical property like C-fibre firing - that these properties just couldn't be identical in that way. Of course, the intuition that certain things are ruled out can be deceptive. Earlier, we saw that the appearance that the concepts son, daughter, etc. are such that there just had to be more than four people at that family gathering was mistaken: when we unpack the concepts and explore the connections between them it turns out there's no such conceptual obstacle. Philosophers have attempted to sharpen up the common intuition that there's an armchair obstacle to identifying pain with C-fibre firing or some other physical property into a philosophical argument. Consider Kripke's anti-physicalist argument, for example. Kripke's argument turns on the thought that the conceptual impossibility of fool's pain (of something that feels like pain but isn't because the underlying physical essence is absent), combined with the conceptual possibility of pain without C-fibre firing (I can conceive of a situation in which I think I am in pain though my C-fibres are not firing), conceptually rules out pain having C-fibre firing as an underlying physical essence (which it would have if the identity theory were true) (Kripke, 1991, Lecture III). Has Kripke here identified a genuine conceptual obstacle to physicalism? Perhaps. Or perhaps not: perhaps it will turn out, on closer examination, that there is no such obstacle here. The only way to show that, however, will be through logical and conceptual work. Just as in the case of our puzzle about whether only four people might be at the family gathering and the puzzle about jumping into one and the same river twice, a solution will require we engage, not in empirical investigation, but in reflective armchair inquiry. Establishing more facts about and a greater understanding of what happens in people's brains when they are in various mental states, etc. will no doubt be scientifically worthwhile, but it won't, by itself, allow us to answer the question of whether there exists such a conceptual obstacle. So, many philosophical problems - from some of the most trivial to some of the hardest - appear to be essentially conceptual in nature, requiring armchair, conceptual work to solve. Some are solvable, and indeed have even been solved (the puzzle about the river). Others aren't solved, though perhaps they might be. On the other hand, it might turn out that at least some philosophical problems are insoluble, at least by us. Perhaps, as some 'mysterians' propose, while some philosophical problems have solutions, they are solutions that lie beyond our human cognitive and conceptual grasp. Alternatively, perhaps some philosophical problems have no solution, period, because the problems result from certain fundamental conceptual commitments that are either directly irreconcilable or else generate unavoidable paradoxes when combined with certain empirically discovered facts. So there are perfectly good questions that demand answers, and that can be answered, though not by empirical means, let alone by that narrower form of empirical investigation referred to as 'the scientific method'. In order to solve many classic philosophical problems, we'll need to retire to our armchairs, not to the lab. But is that all there is to philosophy? What of the grander metaphysical vision traditionally associated with academic philosophy? What of plumbing the deep, metaphysical structure of reality? That project is often thought to involve discerning, again by armchair methods, not what is the case (that's the business of empirical enquiry) but what, metaphysically, must be so. But how are philosophers equipped to reveal such hidden metaphysical depths by sitting in their armchairs with their eyes closed and having a good think? I suspect this is the main reason why there's considerable suspicion of philosophy in certain scientific circles. If we want to find out about reality - about how things stand outside our own minds - surely we will need to rely on empirical methods. There is no other sort of window on to reality - no other knowledge-delivery mechanism by which the nature of that reality might be revealed. This is, of course, a traditional empiricist worry. Empiricists insist it's by means of our senses (or our senses enhanced by scientific tools and techniques) that the world is ultimately revealed. There is no mysterious extra sense, faculty, or form of intuition we might employ, while sat in our armchairs, to reveal further, deep, metaphysical facts about external reality. If the above thought is correct, and armchair methods are incapable of revealing anything about the nature of reality outside our own minds, then philosophy, conceived as a grand metaphysical exploration upon which we can embark while never leaving the comfort of our armchairs, is in truth a grand waste of time. I'm broadly sympathetic to this skeptical view about the value of armchair methods in revealing reality. Indeed, I suspect it's correct. So I have a fairly modest conception of the capabilities of philosophy. Yes, I believe we can potentially solve philosophical puzzles by armchair methods, and I believe this can be a valuable exercise. However, I am suspicious of the suggestion that we philosophers should construe what we then achieve as our having made progress in revealing the fundamental metaphysical nature of reality, a task to I which suspect such reflective, armchair methods are ultimately hopelessly inadequate. So perhaps there's at least this much right about scientism: armchair philosophical reflection alone can't reveal anything about reality outside our own minds. However, as I say, that doesn't mean such methods are without value. After all, scientists sometimes employ the same methods, and with scientifically valuable results. Galileo is credited with constructing a thought experiment by which he established that the Aristotelean theory that heavier objects fall faster than lighter ones in direct proportion to their weight is mistaken. Galileo noted that Aristotle's theory predicted that two balls, one heavier than the other, should fall at different speeds: the heavier falling faster. This theory could be empirically tested of course, and some suppose Galileo tested it by dropping objects from the top of the leaning tower of Pisa. However, Galileo himself records no such experiment. What Galileo did do was perform a thought experiment. He imagined the hypothetical balls of different weights now chained together. Being now combined into a single, even heavier object, Aristotle's theory predicts the balls combined should fall even faster than they did individually. However, because the lighter ball previously fell more slowly than the heavier, Aristotle's theory also predicts the lighter ball should pull tight on the chain behind the heavier ball and act as a brake on it. But then the balls combined should fall more slowly than did the heavier individually. In short, Aristotle's theory, in combination with some modest assumptions about the effects of the chain, generates a logical contradiction. Thus it cannot be true. Of course, Galileo's thought experiment did not allow Galileo to predict what would happen when such balls are released. It didn't reveal how reality is (such objects, when released, might fall at the same speed, at different speeds, or might transform into a pair of doves and fly off into the sunset - we can't know what they will or won't do without observing at least some instances). It just revealed that Aristotle's theory, in so far as it contains or generates logical contradictions, can't constitute a correct description of it. So, while thought experiments and other forms of armchair reflection can't tell us anything substantive about how things stand in reality, they can at least allow us to make significant scientific progress by showing that certain theories about reality are false. Is Galileo's thought experiment an example of science, or philosophy? In so far as it targets a scientific theory - a theory about how physical objects behave - perhaps it belongs more properly to science. However, note that the same armchair method employed by Galileo is also regularly employed by philosophers (for further discussion of the legitimacy of armchair methods see Sorrell in this volume). So, Dawkins is not dismissive of philosophy as I understand it and in the form I would wish to defend it. Dawkins also acknowledges that, for example, the mind-body problem is a philosophical puzzle - a puzzle we will need to employ armchair, conceptual methods to solve if it's to be solved at all. However, Dawkins's conception of 'science' is sufficiently flexible to encompass all these activities, so that even philosophers engaged in purely conceptual, armchair inquiry qualify as 'scientists'. Having said that, I suspect that, insofar as philosophy is understood as an activity aimed at revealing how things stand in reality, Dawkins would dismiss armchair philosophy as a waste of time. But then I suspect he'd be right to do so. Not only does Dawkins unambiguously acknowledge that '[p]erhaps there are some genuinely profound and meaningful questions that are forever beyond the reach of science' (2006, 80) he also seems happy to concede that moral questions may fall into this category. About moral questions, Dawkins says: 'we can all agree that science’s entitlement to advise us on moral values is problematic to say the least' (2006, 80) (he may not even consider such questions answerable at all). We have looked at two kinds of questions - moral and philosophical - that Dawkins appears prepared to acknowledge empirical methods can't, or probably can't, answer, and that (at least in the case of some philosophical questions) other methods might. I don't doubt there are other examples of questions that science (understood as a form of empirical enquiry) alone cannot, or cannot fully, answer but other methods might. However, I'll stick with just these putative illustrations. 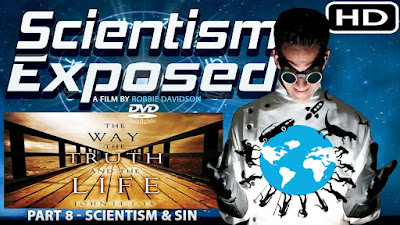 I turn now turn to religious, New Age and popular divine or supernatural belief, and the suggestion that those who are critical of such beliefs from a scientific perspective are often guilty of scientism. A thought often employed by those who make the accusation of scientism in defence of such beliefs is that reality is divided by something like a veil. On one side of the veil lies the empirically observable, investigable, material world. On the other side lies a divine or supernatural realm. This realm is variously supposed to be populated by beings such as the deceased (who are supposed to have 'passed over' to the other side not just figuratively, but literally), angels, spirit guides, demonic beings, and of course gods. Occult forces and energies are also supposed by some to operate behind such a veil. Knowledge of what 'lies beyond' is often supposed to depend on the ability of at least some of us to peer, if only dimly, through this veil and obtain glimpses of what's on the other side. Usually, some sort of super-sense is invoked. TV's Psychic Sally, for example, claims that she can sense the presence of those who have 'passed over' and can communicate with and relay messages back from the other side. Others believe they are able to sense the presence of guardian angels or other spirit guides or beings. Sometimes, the 'doors of perception' to what lies beyond are supposedly opened with chemical assistance. The Delphic oracle of ancient Greece received communications from the god Apollo while perched on a tripod placed over vapors rising from a chasm. Some religious people believe also that at least some of us possess a reliably functioning god-sense or sensus divinitatis by means of which the Judeo-Christian God reveals himself. Many self-styled 'spiritual' folk claim to have experienced some sort of transcendent, spiritual realm. It's by means of such subjective experiences, and perhaps also signs given and wonders performed on this side of the veil by those on the far side, that we can obtain at least some knowledge of those residing 'beyond'. The empirical sciences, by contrast, are incapable of penetrating the veil. The proper province of those sciences lies this side of the veil. There's usually acknowledgement, from those who believe in the veil, that their beliefs concerning what lies beyond cannot be 'proved' by scientific means. But then, they quickly add, neither can these beliefs be refuted by such means. The veil effectively immunizes beliefs about what lies beyond against any sort of scientific, empirical refutation. On Gould's view science and religion are not in, and cannot come into, conflict. Science is no threat to religious belief, properly understood, though of course it is a threat to Young-Earth creationist beliefs about the age of rocks. Young Earth Creationism is an example of religions entering territory that is the proper province of science. Is it true that beliefs concerning gods, souls, the supernatural, and so on, and are immune to refutation, or at least to scientific refutation? No. Here are three reasons why. First, it is possible to refute beliefs about what lies beyond the veil by showing that the beliefs involve some sort of logical contradiction or conceptual muddle (a point Gould might of course concede). Suppose someone claims to have discovered a round square in the jungles of Brazil. Will the world's mathematicians mount an expedition to Brazil to investigate? Of course not. They can know, from the comfort of their armchairs, that there's no such thing in the jungles of Brazil. In the same way we might refute a scientific theory by showing that it generates logical contradictions (we have already noted Galileo's armchair refutation of Aristotle's theory about falling objects). But then god beliefs might also generate contradictions of this sort. Take belief in some sort of divine agency that is supposed both to have beliefs and desires on which it acts, but also to be non-temporal: a being that does not exist in time, as we do, but is the creator of time. Perhaps we can show this belief doesn't make sense, given that psychological states such as belief and desire necessarily have temporal duration. In which case, we might refute, from the comfort of our armchairs, belief in such a deity, despite the fact that the deity in question supposedly resides behind the veil (I don't claim this particular refutation succeeds; I merely point out that such refutations of beliefs regarding what lies behind the veil is at least possible). Would such a refutation be 'scientific'? I'd call it philosophical, but note that we have already seen Dawkins's use of 'science' is sufficiently elastic to allow such armchair, conceptual refutations to qualify as 'scientific'. Second, beliefs about what is behind the veil, though not directly observable, are potentially empirically refutable given they have consequences for what we should or should probably observe on this side of the veil. Scientists regularly confirm and disconfirm hypotheses about unobservables. Hypotheses about the distant past of this planet - such as that dinosaurs once roamed the Earth - also concern tracts of reality that are necessarily unobservable by us. Yet such hypotheses can be confirmed, and indeed refuted, by observation. That's because there are things it's much more likely we would observe (certain kind of fossilized skeleton, etc.) if the hypothesis were true than if it were false. Similarly, hypotheses about subatomic particles concern tracts of reality that are unobservable, but again we can observationally confirm or refute hypotheses about electrons, the Higgs Boson, etc. because these hypotheses also have consequences so far as what is empirically observable. But then, similarly, hypotheses about what lies behind the veil in some divine or supernatural realm may be empirically confirmed or refuted in so far as they, too, have consequences so far as what we should expect to see on this side of the veil. If I posit a cosmic doodah behind the veil, and say no more about it than that it's an ineffable thingummyjig, it appears I've made a claim that's hard to refute observationally, given that it has no obvious observational consequences. However, as we add more content to our beliefs about what 'lies beyond', those beliefs do become potentially empirically confirmable or refutable. Belief in a god that answers petitionary prayers, for example, has been scientifically investigated. Two large-scale multi-million dollar studies of the effects of petitionary prayer on heart patients (one performed under the leadership of Herbert Benson, a cardiologist who previously suggested 'the evidence for the efficacy of intercessory prayer … is mounting' (Benson, 2006)) found prayer had no beneficial effect on patients. This was not mere absence of evidence of the beneficial effects of prayer, it was evidence of the absence of such effects, and thus evidence against the existence of a god who produces such beneficial effects in response to petitionary prayer. Despite the fact that they are considered to concern powers, beings, and so on behind the veil, various New Age, spiritual, and other claims have also been scientifically investigated. Take for example the claim that meditating while holding crystals can, by means of some power operating behind the veil, bring about higher concentration powers, energy levels, and increased spiritual well-being. That meditating while holding crystals has such effects was scientifically investigated in a double blind controlled experiment conducted at the Anomalistic Psychology Research Unit Goldsmith's College, University of London (French, O'Donnell, and Williams 2001). No such effect was found (no difference in response from those holding real crystals and those holding fake crystals). Again, this was evidence against the existence of any such power operating behind the veil. Other claims concerning the divine also appear to be evidentially challenged. Take, for example, the claim that this world is the creation of an omnipotent, omniscient, and supremely malevolent deity whose malice is without end. If there were such a deity behind the veil, surely things should look very different on this, the empirically observable, side? Yes there's pain and suffering, but surely there's far too much love, laughter, ice cream, and rainbows for this to be the creation of such a supremely wicked being. But if we can, quite reasonably, rule out such a deity on the basis of observation, why can't we similarly rule out the existence of an omnipotent, omniscient and supremely benevolent deity on much the same basis (there's far too much suffering in the world for this to be the creation of such a god). Assuming this is an effective refutation of these two god beliefs, is it a scientific refutation? It's certainly empirically-based. However, if we understand a scientific refutation to involve the scientific method and scientific institutions developed over the last few hundred years, then it appears not to be scientific. It's a variety of that still highly effective 'common sense' kind of refutation that might have been offered long before the development of those methods and institutions. Another example: I might effectively empirically refute your claim to have a cat under your shirt by carefully going round you and patting your shirt. If I find no suspicious lumps and hear no 'meows', it's reasonable for me to believe there's no cat there, despite my not having actually looked under your shirt. Is this successful refutation of your claim 'scientific'? I'd say not. This is not to the say that the argument from evil against the existence of omnipotent, omniscient, and supremely benevolent god can't take a scientific form. Much of the suffering the world contains has been revealed by science. Examples include hundreds of millions of years of animal suffering before humans have shown up, and two hundred thousand years of approximately a third to a half of every generation of human children dying (typically pretty horribly, from disease, malnutrition, and so on) before reaching the age of five. Another way in which science, or empirical inquiry, might threaten beliefs concerning what lies behind the veil is by providing evidence that we are highly prone to error when it comes to forming such beliefs on the basis of, say, subjective experiences involving a sense of presence (much like the experiences TV's Psychic Sally reports). Perhaps, if I seem to see a snake lying in front of me, it is, other things being equal, reasonable for me to believe there's a snake there. But if I am then told by a reliable source that I have been given a drug that causes highly convincing-looking snake hallucinations, it's no longer reasonable for me to believe there's a snake before me. Of course there might still be a snake present, and indeed, my belief that there's a snake might have been brought about by my reliably functioning perceptual faculties (perhaps I have been misled about having been drugged and am just observing a real snake in the usual way), but, still, given this new evidence, surely it's no longer reasonable for me to continue to believe there's a snake there. But then, similarly, science might reveal we humans are constitutionally prone to false beliefs in the presence of invisible agents (gods, ghosts, spirits, angels, demons, the deceased, etc.) when those beliefs are merely grounded in a subjective sense of presence. Under those circumstances, surely I can no longer reasonably maintain my belief in such an agent given only such a subjective sense of presence. Here is evidence, not that there are no gods, ghosts, or whatever, but that my subjective sense that there are can no longer be trusted. If a subjective sense of presence is my only basis for belief, then I should cease believing. To sum up, while there may be 'limits to science', certainly when understood as a form of empirical inquiry grounded in methods and institutions developed only over the last few hundred years or so, it does not follow that religious beliefs, New Age beliefs, beliefs about the supernatural, and so on are immune to refutation, let alone scientific refutation. If the existence of the universe having such features by chance is highly improbable, then, says Dawkins, the existence of a god having the kind of complexity to account for it must be even more improbable. So, by introducing god, we merely postpone the problem of accounting for such complexity. But then the universe's complexity provides no justification for introducing god. Worse still, if the theist is right and the probability of such complexity just happening to exist is low, then, by the same logic, the probability of God existing must be even lower. Dawkins suggests this argument is 'scientific', but is it? Why does Dawkins suppose God must be at least as complex as that which he is invoked to explain? Perhaps because, if something is to qualify as having been designed by God, it must be represented in the mind of God, and the structural complexity of what is designed must be there in the representation if it is to qualify as a designed feature. However, this thought about what must be true of representations appears to be delivered by armchair, conceptual reflection on the nature of representation, rather than by empirical inquiry. In which case, isn't Dawkins' argument philosophical rather than scientific? Perhaps not: because Dawkins classes even such armchair philosophical reflection as 'science', his argument still qualifies as 'scientific' as Dawkins uses that term. Is Dawkins's very elastic use of 'science' - on which even armchair philosophical reflection qualifies - legitimate? I don't particularly object to Dawkins using the term in this way so long as he is clear about what he means. The fact that Dawkins's Foundation is called The Richard Dawkins Foundation for Reason and Science suggests that even Dawkins understands reason to extend beyond the scope of mere science (otherwise, why not just call it The Richard Dawkins Foundation for Science?). So where, according to Dawkins, does science end and the rest of what falls under the umbrella of 'reason' begin? That isn't clear to me. Is Dawkins's argument cogent? I won't assess it here. A number of theists have attempted to refute it, include Richard Swinburne, William Lane Craig, and Alvin Plantinga. My interest lies, not in attempts to directly refute Dawkins's argument, but in the charge of 'scientism'. McGrath then accuses Dawkins of being ideologically committed to science, of supposing that 'science has all the answers'. However, we have already seen that Dawkins clearly acknowledges in the book McGrath is here attacking that 'perhaps there are some genuinely profound and meaningful questions that are forever beyond the reach of science' and suggests that moral questions may fall into this category. So McGrath is attacking a straw man. We have seen that Dawkins allows room for philosophy too (though his understanding of 'science' is broad enough to allow even a priori armchair philosophical theorizing and reflection to qualify as science). McGrath's charge of 'scientism' not only misrepresents Dawkins, it is also, more importantly, irrelevant to the question of whether or not Dawkins’s argument against the existence of McGrath's God is cogent. Suppose McGrath is right that there are questions science cannot answer, and that other methods can. Does it follow that Dawkins's argument against the existence of God fails? Clearly not. Dawkins's argument might still be sound. McGrath then attempts to refute Dawkins's argument against the existence of God, not by identifying some specific flaw in it, but by simply insisting we can't prove there's no God. However, Dawkins himself points out in the The God Delusion that McGrath's earlier attack on Dawkins seem to turn on the 'undeniable but ignominiously weak point that you cannot disprove the existence of God.' (2007, 80) In The God Delusion, Dawkins clearly and explicitly agrees with McGrath that we can't conclusively 'prove' there's no God, but then points out that doesn't mean belief in God is immune to scientific skepticism. For, as we have already noted, God hypotheses can have observable consequences: '[a] universe with a superintendent would be a very different kind of universe from one without. Why is that not a scientific matter?' (2007, 80) Dawkins notes in The God Delusion that, in response to this question, McGrath previously offered no answer. It's ironic, then, that, even in this later attack now aimed squarely at The God Delusion itself, McGrath still offers no answer. The suggestion seems to be that, consequently, the 'ultimate question' of whether or not God exists cannot be settled by science (by the way, notice McGrath understands 'science' more narrowly than Dawkins - he supposes that what 'science' can settle is settled, in every case, by observational evidence). But are 'God exists' and 'God does not exist' 'empirically equivalent'? Do these two 'worldviews' fit the observational data equally well? Dawkins's point is, of course, that they are not empirically equivalent. Given that hypotheses about unobservables (subatomic particles, the distant past of this planet, etc.) can indeed be empirically confirmed and disconfirmed beyond reasonable doubt by reference to what is observable, why shouldn't God beliefs also be similarly empirically confirmable or disconfirmable? Given we can empirically disconfirm the belief that there's a God who answers petitionary, and that the belief in a God that is omnipotent, omniscient, and omnimalevolent also appears to be empirically disconfirmable, why should we suppose that McGrath's belief in a God that is omnipotent, omniscient, and omnibenevolent is not empirically disconfirmable? McGrath offers no explanation. He simply declares, without argument, that his God is off-limits to science. Now, as we have seen, Dawkins actually justifies his rejection of belief in God by an argument. Reville does not address or even mention that argument, but instead simply declares that God, being supernatural, is off-limits to science. Perhaps Reville is right and it is possible a supernatural realm exists. However, that's not to say it's remotely probable. Many supernatural claims are highly improbable, and in some cases have been shown to be so through an application of the scientific method. The supernatural is not off limits to science. But then, if supernatural claims are often empirically investigable and can, in fact, be empirically refuted, why shouldn't Dawkins and others succeed in refuting - perhaps even in empirically refuting - a particular God claim? Reville does not explain. While, as a philosopher, I am happy to acknowledge science has its limits, I see no reason to agree with Reville that supernatural claims are in principle off-limits to science. Indeed, they are not off-limits, and neither are many God claims. I have provided two illustrations of how the charge of 'scientism' has been made in a baseless and indeed irrelevant way against critics of religious and/or supernatural beliefs. It is not difficult to find further examples. As should now be clear, efforts to disprove the existence of God do not necessarily involve an embrace of scientism. This is another example of authors just assuming the supernatural is off-limits to science and then using that assumption to immunise their religious belief against any potential scientific threat. As we have seen, empirical science is more than capable of investigating many supernatural claims, and has done so successfully. To suppose otherwise is not to be guilty of scientism. Too often a prominent physicist or biologist is believed when he declares that empirical science has disproved the existence of God... The fallacy is, of course, that empirical or experimental science is limited to the work of discovering and applying truths about the material world. If there is a spiritual presence in the material world, physical science will not discover it; and if we discover it, physical science will have no idea of what it means. Chesterton would have none of such scientism. But immortality doesn't have to be material - and certainly doesn't have to be a material substance like a gas - in order to be scientifically investigable. Neither does God. Again, an unjustified and mistaken characterisation of the remit of science is used by the author to immunise religious belief against any potential scientific refutation. 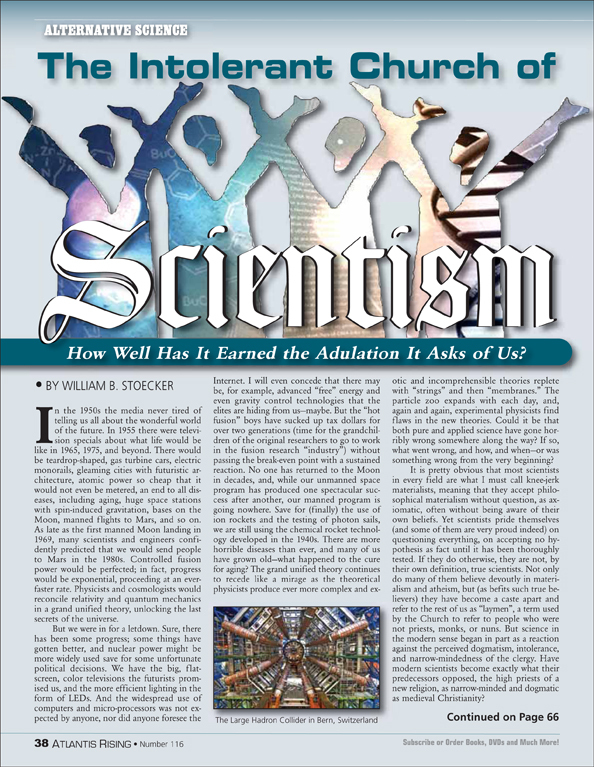 Fradd asserts that it is beyond the remit of science to 'disprove God'. But no justification for this claim is given. We're just told those who suppose otherwise are guilty of scientism. Barrett. J.L. 2004. Why Would Anyone Believe in God? Lanham Sylvialand: AltaMira Press. Benson, H. et al. 2006. 'Study of the Therapeutic Effects of Intercessionary Prayer (STEP) in Cardiac Bypass Patients: A Multicenter Randomized Trial of Uncertainty and Certainty of Receiving Intercessionary Prayer', American Heart Journal 151: 934–42. Boyer. P. 2002 Religion Explained, The Evolutionary Origins of Religious Thought. New edition. London: Vintage. Gould, S.J. 2002. Rocks of Ages. London: Vintage. Gould, S.J. 2012. 'Nonoverlapping Magisteria', In Pojman, L. and Rae, M.(eds. ), Philosophy of Religion: An Anthology. Boston MA, Wadsworth. pp. 568-577. Harris, S. 2012. The Moral Landscape: How Science Can Determine Human Values. London: Black Swan. Kripke, S. 1981. Naming and Necessity. New edition. Oxford: Wiley Blackwell. McGrath A. 2007a. The Dawkins Delusion. London: SPCK. McGrath, A. 2007b. 'The Questions Science Cannot Answer - The Ideological Fanaticism of Richard Dawkins's Attack on Religious Belief is Unreasonable to Religion - and Science' in The Times newspaper, February 10th. Reville, W. 2014. 'Philosophers must Oppose The Arrogance of Scientism', The Irish Times, January16th. So, for example, I am not persuaded by those forms of 'scientism' that insist that, say, humanities subjects like history should employ nothing but the scientific method understood narrowly, so as to exclude the kind of understanding one acquires through an imaginative identification with others, in some cases achievable only through the use of music, poetry, painting and other forms of artistic expression. While there's much that science can contribute to history as a discipline, that's not to say that history is, or should be replaced by, science narrowly conceived. For further of this issue discussion see Kitcher in this volume. Notwithstanding the construction of theodicies and appeals to 'sceptical theism' that might, in each case, be invoked to try to deal with this apparent evidence against these two god claims, I believe it is. That we humans are indeed constitutionally prone to false belief in invisible agency has been noted by many scientists, including evolutionary psychologist Justin Barrett, who has also postulated a mechanism to account for this tendency - an evolved Hyper-Active Agency Detecting Device. See Barrett 2004 and Boyer 2002. Notice my argument here is not that where a religious or other seemingly supernatural experience can be correctly explained naturalistically (in the style of Barrett and Boyer, for example - see preceding note), it ought not to be trusted. Such naturalistic debunking arguments may or may not be cogent. Rather, my argument is a defeater argument: if I have good grounds for thinking that, in the circumstances in which it appears to me that P, that appearance is quite likely to be misleading, then I ought not to rely on that appearance - I ought not to believe that P. Such defeater arguments don't require my particular experience actually to be produced by an unreliable mechanism (I might actually be seeing a real snake via a reliable perceptual mechanism, and not be drugged), or indeed have a correct naturalistic explanation (God might, on this occasion, actually be supernaturally revealing himself to me). Even if I am actually perceiving a snake, or am actually experiencing God, by what is in actual fact a reliable belief-grounding mechanism, the fact remains that I shouldn't believe given the evidence that I'm in a situation where such experiences are very often deceptive. So excited by what I've read so far. Might not make it back to say thanks later when I finish, but have read enough to feel tremendously grateful. I appreciate your work. 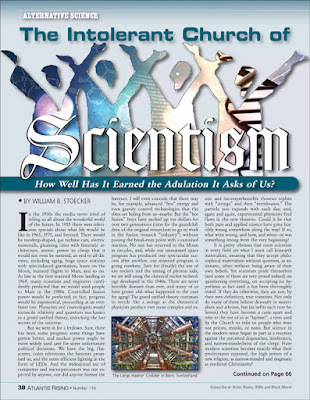 The term scientism has been around a long time. It's been around a lot longer than new age.,I have never seen it applied to new age but I've seen it applied to attitudes about science by mainstream science people are nevertheless gung ho on science as the only from of knowledge. It's not helping to muddle the argument by trying to pretend that all different versions of saying the same thing constitute different ideas. some of then do but but all. The idea that science is the only form of knowledge and that only scientific knowledge is important as knowledge are the same thing, for all practical purposes.. there are other ways to say it. He was not talking about new age movement,but mainstrea science. For anyone interested, I've written a response to this post on my blog, outlining two areas where I'd disagree with Dr Law. "No doubt some things really are beyond the ability of science, and perhaps even reason, to decide." And as such are beyond human knowledge. There are no other ways of knowing that we know of. All claims to other ways of knowing amount to nothing more than assertions. Nothing factual (about imagined other realms) has evern been demostrated by anyone claiming there are other ways of knowing. FYI, pain is an output of the brain and not c-fiber firing. You can have pain with or without c-fiber firing. Look up Ronald Melzack. I enjoyed and agreed with your assessment of this issue. I've heard you on several podcasts, and really like your evil god hypothesis thought-experiment. He is missing something important vis a vis organised complexity; for complexity and stability are proportionally related, i.e. the more complex a system the more stable it becomes (and the simpler the laws governing the system become). Therefore, if we consider a creator god to be infinitely complex it will also follow that the said god will also be infinitely stable, i.e. unchanging. So, it is reasonable to use a complexity argument, it logically follows. This is the “empirical” evidence of God. St Paul in Romans states the same thing. Religious folk have beliefs, and many 'New Age' folk, as they haven't done any true spiritual work, such as talking to god. That's truth, not belief. When u have you will have not need any comfort from any human person or science. Religion is just mind control, why they ban the Power or Medicine plant medicine. Scientism is just Matrix science. Atheism is it's foundation stone, Big Pharma relies on it, and Big Pharma is the biggest money earning racket. and herbs aren't proper medicine, unless made into drugs. and they went to the moon.